paint the tail a shade darker than your purple(just add black) and outline with black paint. 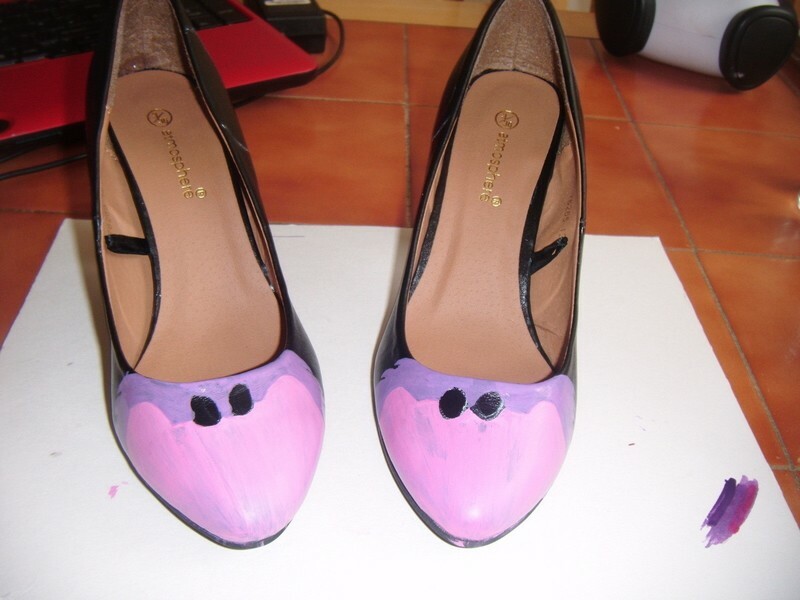 go around the lip of the shoe with black as well because its bound to get specks of paint on them. Great idea, they're amazing! 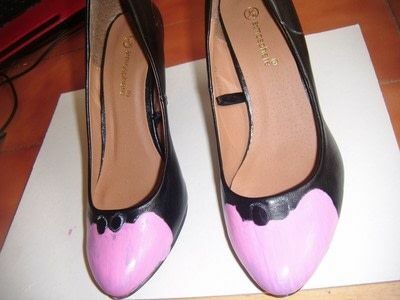 I'm going to make a pair of those too !! 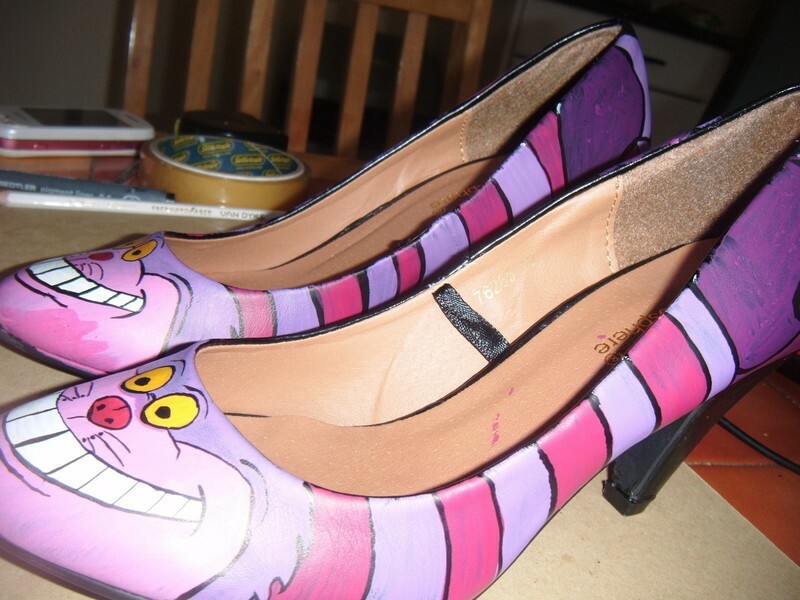 You have quite a few amazing shoe painted projects.. I have never thought about this before.. 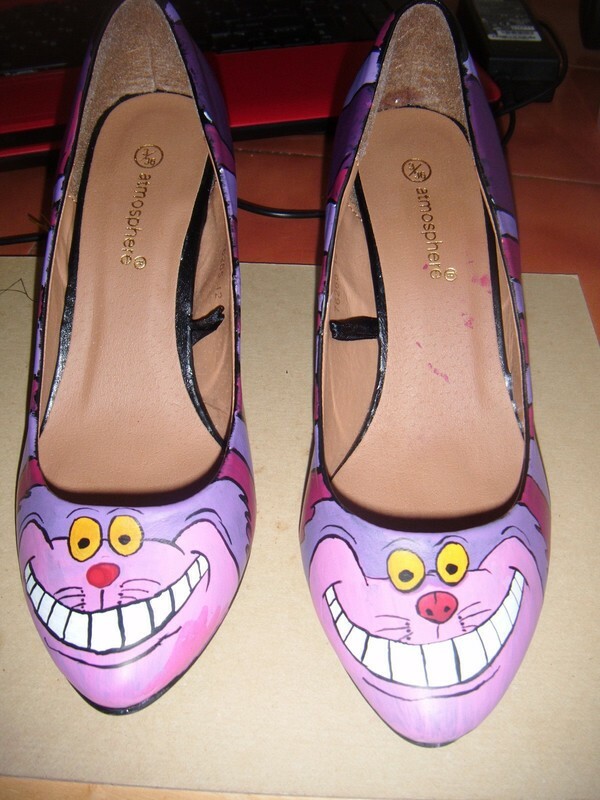 I may have to contemplate now because I love Alice In wonderland inspired stuff especially Cheshire Cat and these would be awesome to wear... 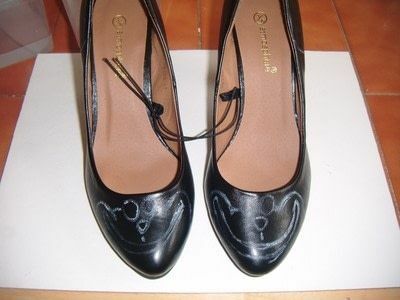 If they are a bit scuffed up, does this still work well? 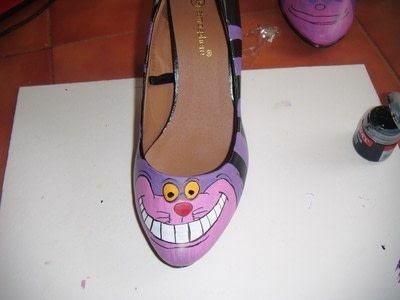 thats awesome!!! good job!!! there is lik NO mistakes!! where do you get all of your shoes? 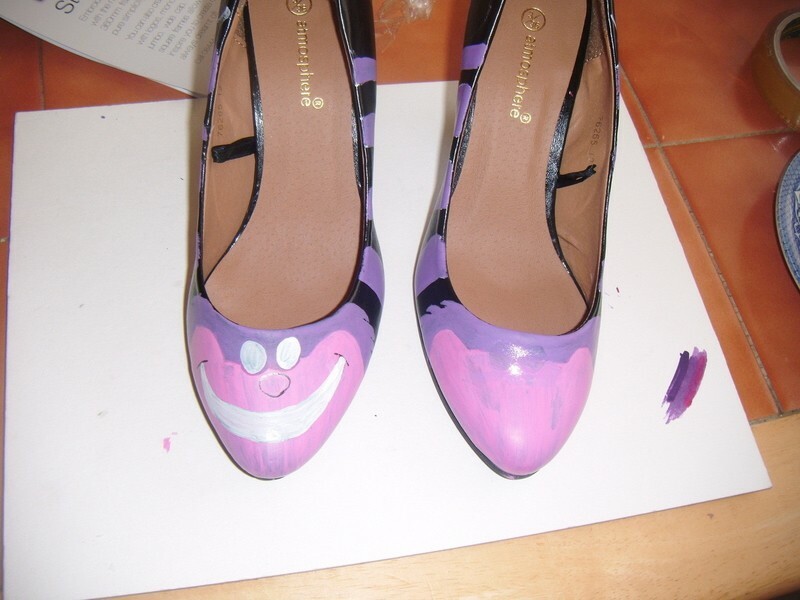 you do so many projects w them, but i can never find a cheap enough pair to do this to! 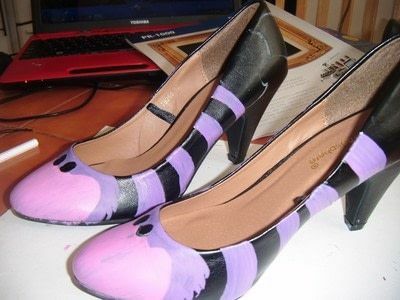 plus, these are like, perfect! lol I looooveee your stuff, please post more!